The Glenn Beck Review: Is Glenn Beck Sinking? The following piece is being reprinted with permission of Alex Zaitchik, the author of Common Nonsense: Glenn Beck and the Triumph of Ignorance. This was first published in the Huffington Post by Zaitchik and Peter Dreier on February 8th. Peter Dreier teaches politics at Occidental College. His next book, The 100 Greatest Americans of the 20th Century, will be published by Nation Books later this year. 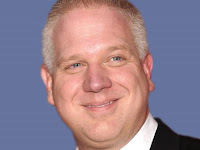 Since Glenn Beck launched his television show on Fox News Channel in January 2009, the program has become the premier conservative showcase for conspiratorial incoherence. But in recent months his ratings have taken a nosedive. Most strikingly, nearly half of his audience has disappeared in the last year. Has Beck gone too far even for Fox News? And how will Beck respond to his falling fortunes? Will he take a sharp turn toward reality, or will he double down even further into the paranoid world of nonsensical conspiracy theories that has become his signature? And, if so, will Rupert Murdoch and Roger Ailes pull the plug before Beck implodes on the air? Beck's nightly fright-fests feature a famously diverse cast of villains. Sometimes employing spooky music and quick-cut montage, other times employing an old-timey chalkboard, Beck has highlighted the end-of-the-world threats posed by Mexican gangsters, Iranian mullahs, European Marxists, American social justice activists, Democratic politicians (especially President Obama), and the occasional 78-year-old political scientist. Since the turmoil began in Egypt, Beck has embarked on a bold one-man expedition to previously uncharted corners of crazy. In his efforts to frame events, he has laid out, collapsible pointer in hand, a scenario that has left even the most jaded Beck watchers slack-jawed. On February 1, Beck offered his much-derided theory of a new Marxist Caliphate. "Look, you can call it a new world order or a caliphate, but the world right now is being divvied up,"said Beck. "And the uber-left and the Islamists and the global elites are moving in the same direction." I believe that I can make a case in the end that there are three powers that you will see really emerge. One, a Muslim caliphate that controls the Mideast and parts of Europe. Two, China, that will control Asia, the southern half of Africa, part of the Middle East, Australia, maybe New Zealand, and God only knows what else. And Russia, which will control all of the old former Soviet Union bloc, plus maybe the Netherlands. I'm not really sure. But their strong arm is coming. That leaves us and South America. What happens to us? In Beck's telling, leftist-anarchist street brigades in Europe will join forces with radical Islamists (with implicit support from Democrats) to sow chaos from Tehran to Tallin, with the goal of establishing a leftist Islamic super-state across the Middle East and Europe. This will open up a geopolitical vacuum into which, Beck has mused, the Russian and Chinese armies may sweep. Van Jones, Francis Fox Piven, and groups that protested in Rancho Mirage last week (at the Koch brothers secret seminar for right-wing billionaires) play supporting roles in this unfolding global catastrophe. Beck has used this grab-bag approach to global threats before. The hour that made his name on Fox -- the "We Surround Them" special episode of March 13, 2009 -- corralled a smorgasbord of foreign and domestic villainy in its opening montage. The episode was ratings gold and cemented Beck's reputation as a shameless fear-monger peddling nonsensical nightmares to old people and shut-ins who haven't read a newspaper since 1976. It is not a coincidence that the episode, which aired weeks before the birth of the Tea Party, also marked the beginning of Beck's rapid ascent as conservative tastemaker and power broker. Over the course of the next 10 months, Beck exploded, peaking with an astounding 2.8 million viewers for the 5 p.m. time slot. Fast forward to 2011, and the best explanation for Beck's return to extreme fear-mongering looks like a desperate attempt to recapture his not-so-distant glory days. Beck's ratings are not what they were. Last month, Glenn Beck averaged 1.8 million viewers. This drop, the steepest in cable news, was even worse among the prize demo of viewers between the ages of 25 and 54. During 2010, in other words, Beck lost nearly half of his viewers. Beck's radio footprint, his biggest pride and the base of his business, is also taking a hit. His former home station, Philadelphia's WPHT, dropped him last November. New York's WOR followed last month, citing poor ratings. Beck now appears caught in a vicious cycle that may cause, if not his much-anticipated downfall, at least an overdue neutering of his influence. A significant chunk of Beck's audience has grown weary of his act, which like any stimulation eventually suffers from diminishing returns. Some may have tired of his Chicken Little screeches, which always seem to segue into commercial pitches for gold and other survivalist products available on his website. Still others may have been turned off by his use of old anti-Semitic tropes in the pursuit of the nation's biggest internal enemies. On his January 13 show, Beck identified nine people who he considered among the most dangerous thinkers and activists. Eight of them were Jews, including George Soros and Frances Fox Piven. And so, in order to get those viewers back, Beck has apparently banked on a strategy of upping the paranoid ante, which is likely to simply further chip away at his remaining audience. Beck has never been a pundit so much as a mouthpiece and an entertainer. His writers feed him right-wing opposition research and talking points, which he kneads into a conspiracy pretzel seasoned with his own store of religious-apocalyptic salts. Until recently, the resultant snack looked like a new formula for conservative catnip. Beck, it seemed, was on his way to building an iconic and enduring franchise -- the Ray Kroc of McCrazy. But lately his customers have been gagging on this snack and not coming back. Beck's response has been to supercharge the recipe with more of the same. If the last few weeks are any indication, the new recipe tastes even more like dog food than before.